The ancient Egyptians started the practice of wearing a wedding ring on the fourth finger of the left hand. They believed it housed a special vein that was connected directly to the heart. 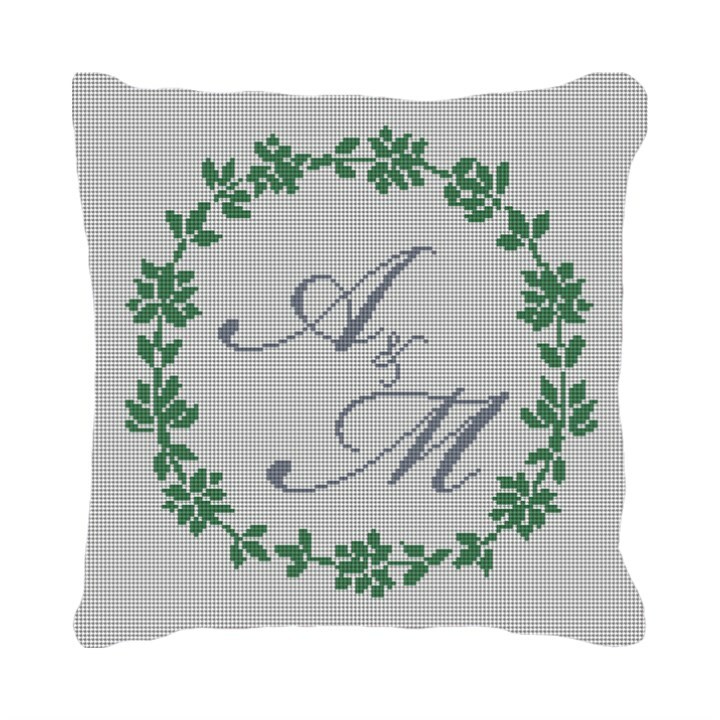 Weddings are full of tradition and symbolism, that is why we feel our Wreath Needlepoint Wedding Pillow will add that special touch to the bride and grooms wedding ceremony. A ring bearer pillow for the ceremony, and a fabulous keepsake for the newly married couples home.